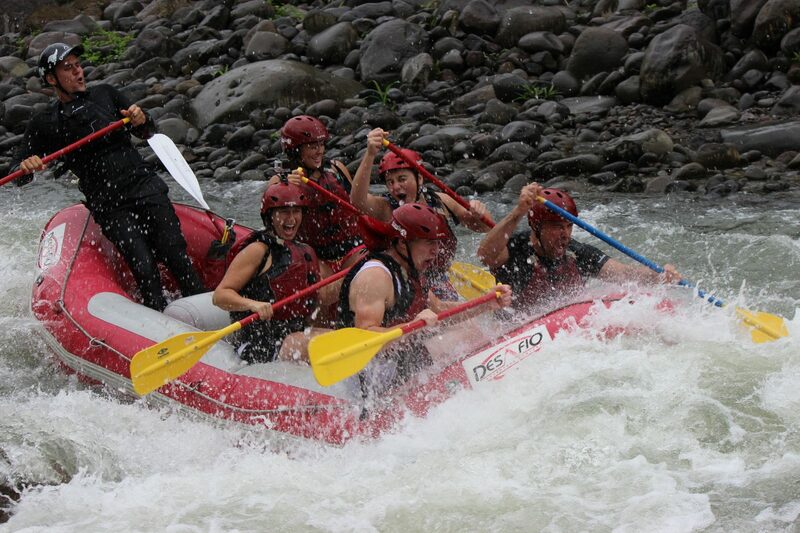 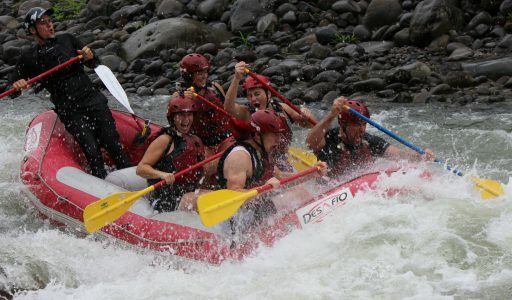 Get a double dose of adrenaline in La Fortuna with whitewater rafting and zip lining in Costa Rica! 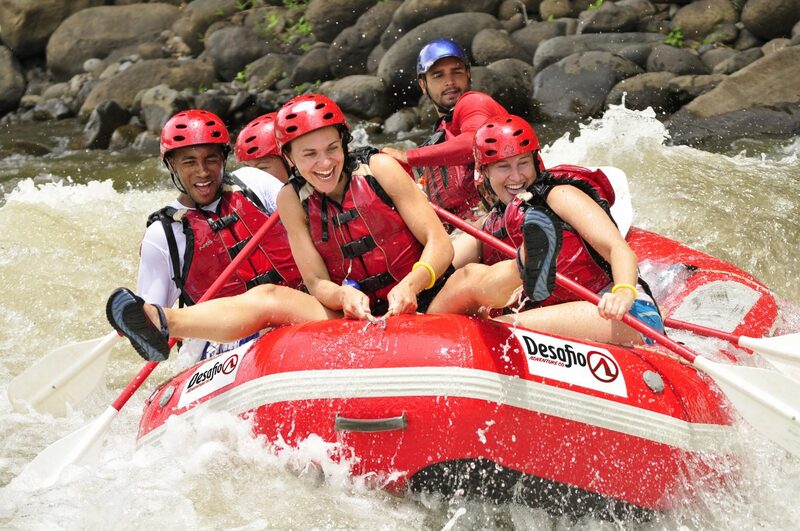 Travel to Arenal’s Río Balsa and challenge yourself with class 2-3 rapids as you whitewater raft down the Balsa River. 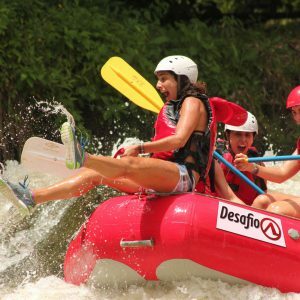 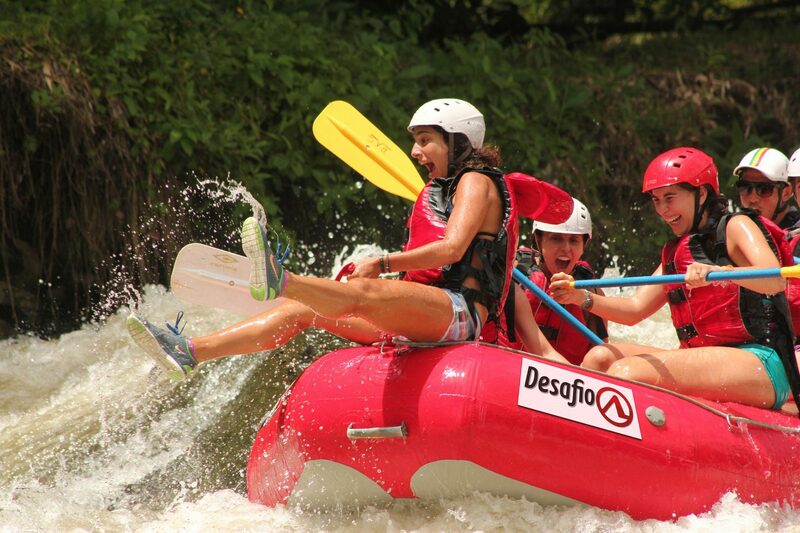 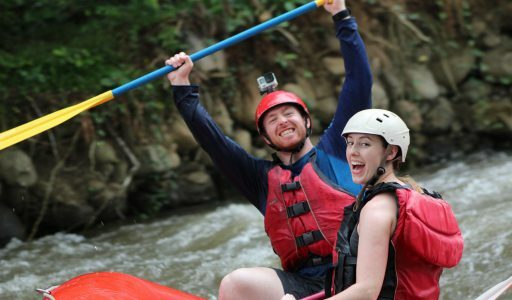 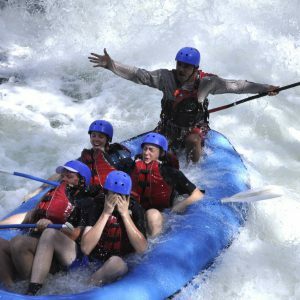 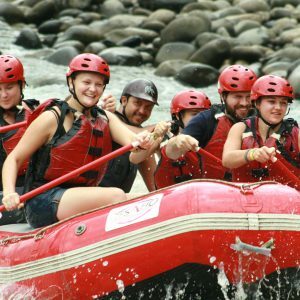 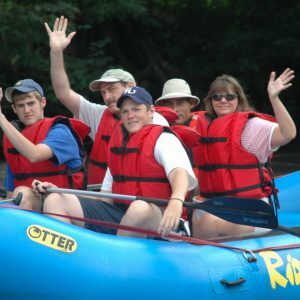 The Rio Balsa is a fun Costa Rica rafting trip with rapids called “Morning Coffee” & “Rock around the Croc!” You are sure to have an unforgettable Costa Rica rafting adventure! 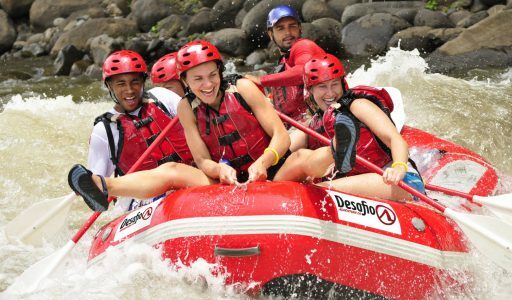 Play around in tranquil river pools, take in the breathtaking scenery, and ride the waves of the Balsa River for about two hours along 10 kilometers of lush Costa Rican rainforest. 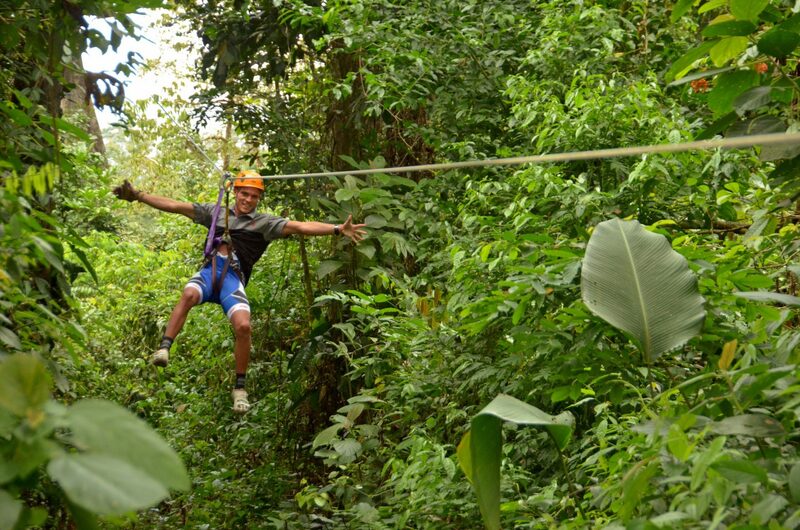 Then, start the second leg of your day with your Arenal zip lining tour. 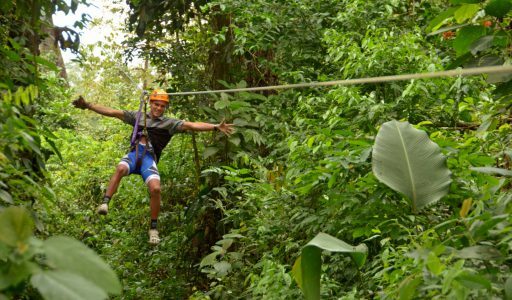 This canopy zip line adventure will take you on a total of 13 exciting cables throughout this well-thought-out adventure park. 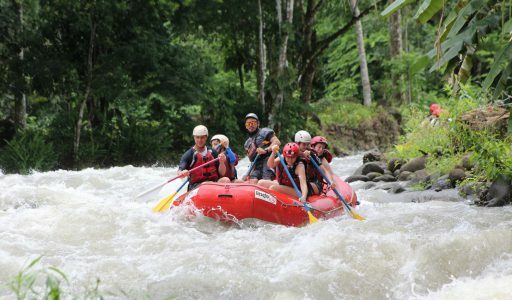 The first cable is only 25 meters long, intended to help you feel comfortable with your gear and get you ready to enjoy the rest of the cables of this adventure sport. 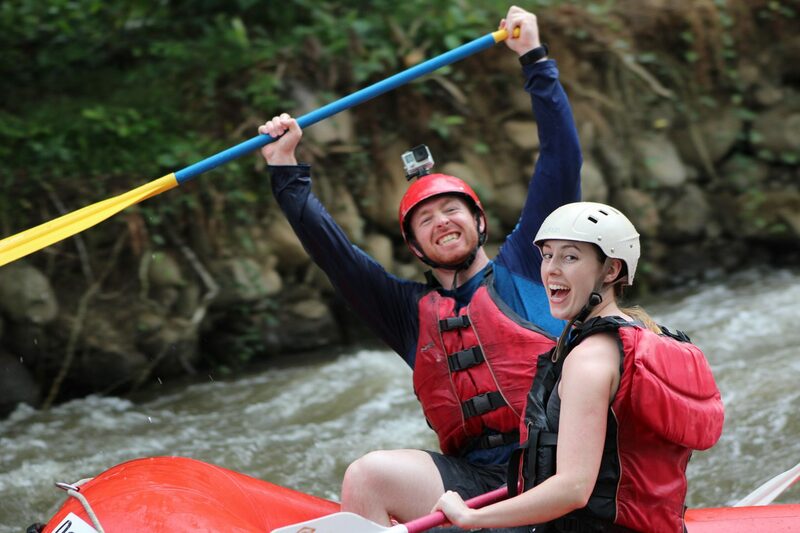 The thrill of the zip increases from cable to cable until you arrive to cable number 12. 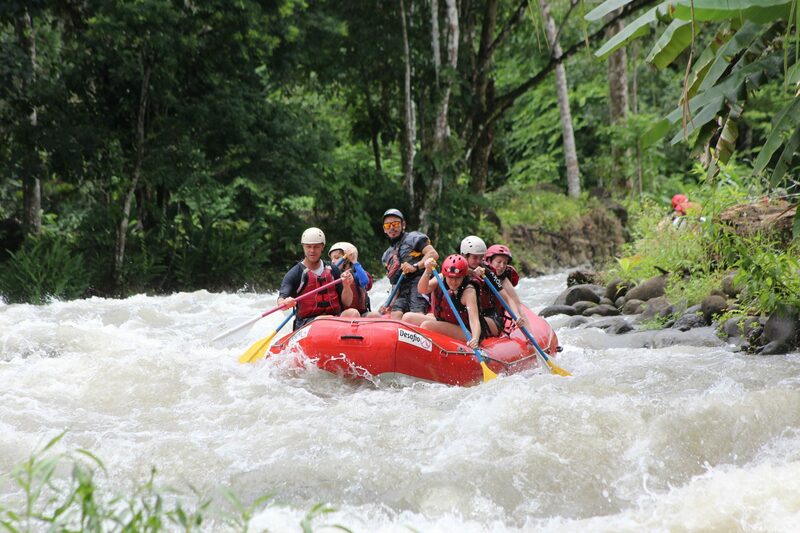 This is the longest cable and is an exciting 430 meters long — that’s over 1,200 feet long! 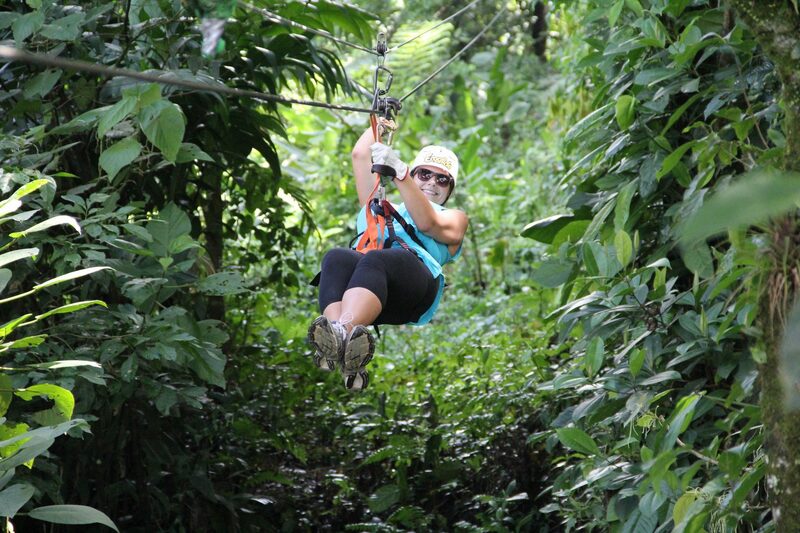 Along the way, you’ll have the opportunity to do a unique and exciting Tarzan Swing! 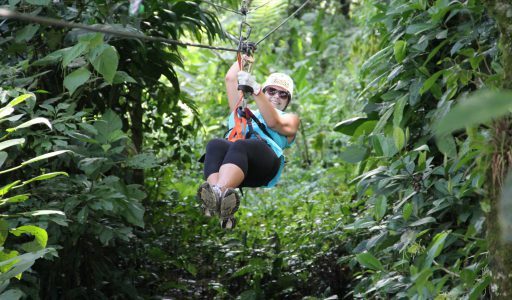 You’ll love this part of the tour, almost as much as you’ll love the 360 degree panoramic view of the rainforest that you’ll have as you fly above the lush canopy at the base of the Arenal Volcano. 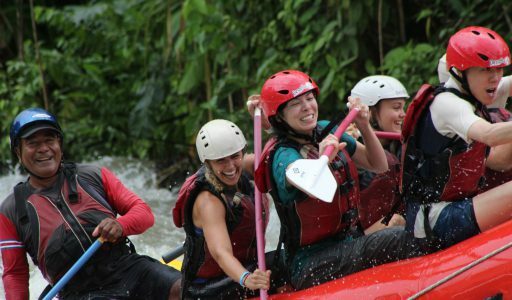 What to Bring: Secure shoes, clothes to get wet in, a change of clothes for after the tour and appetite for adventure. 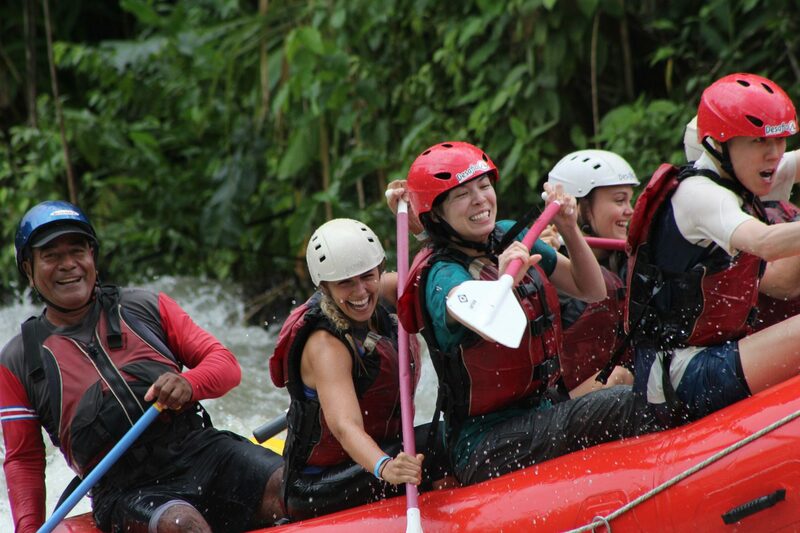 Price Includes: Transport to/from your hotel, fun and professional guides who love what they do, high quality gear for both activities, tropical fruit break, delicious home-cooked meal, towel and lots of adventure.